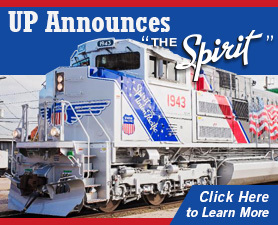 October 27, 2017 - On October 19th, the Union Pacific Railroad revealed a commemorative locomotive honoring the U.S. Armed Forces at San Antonio's Sunset Station. UP's No. 1943 will kick off the railroads Salute to the Military Tour with a series of community displays across Union Pacific's network. M.T.H. 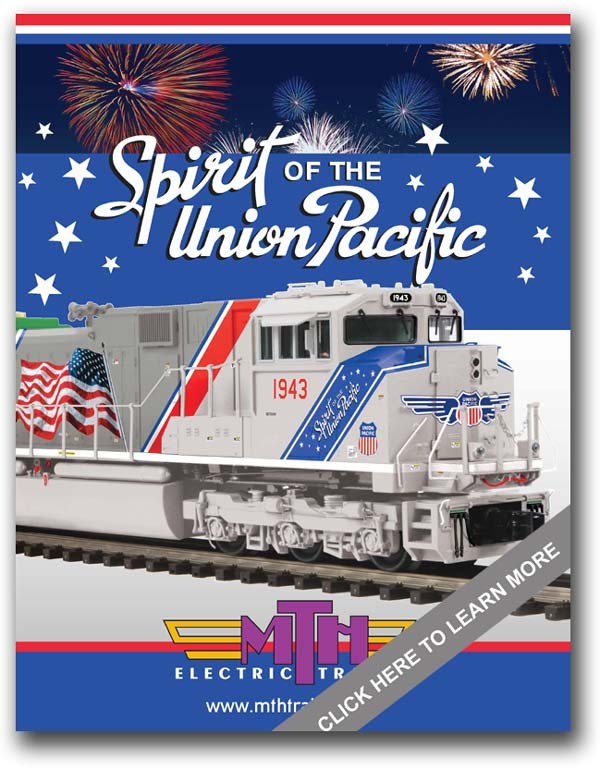 Electric Trains will be releasing the Union Pacific Spirit SD70ACe in cab No. 1943 in three versions; a Premier Line O Scale Model, a semi-scale RailKing Imperial O Gauge model and an HO model in both a DCC-Ready version and a Proto-Sound 3.0 28-Function DCC equipped version. 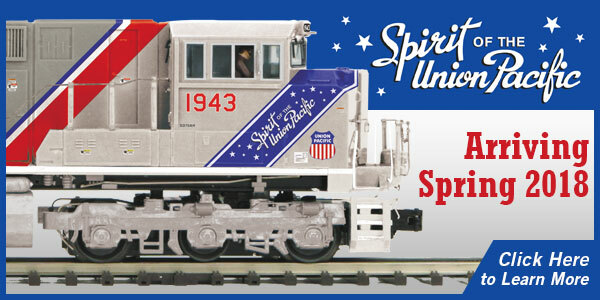 Each will be offered with a series of freight cars decorated in the colors and logos of each Military branch. An additional car will also be featured in POW livery as a nod to Union Pacific's inclusion of the POW/MIA symbol at the rear of the locomotive. The locomotives will begin arriving on M.T.H. Authorized Retailer shelves during Spring 2018. Models can be ordered from any M.T.H. Authorized Retailer. Click on the links below for each Product Line offering or scroll through the product list on the left to learn more.